I am Behzard Parvin, an International Student from Iran studying Master of Electrical Engineering at Vienna University of Technology. 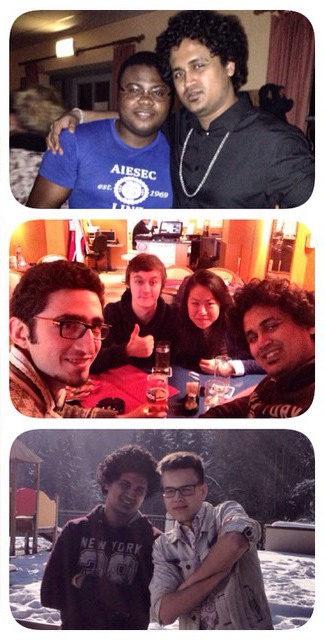 I joined AIESEC after attending info evening held at Vienna University of Technology. The reason I decided to become a member of this organization was to improve my leadership skills and find new friends along the way, as I was new in the city. Another important driver was that I really wanted to improve my communication skills, as I realized I would need to be better at it in my future if I want to pitch a project or an idea, present myself to a company or communicate my ideas to a group of people. After working with AIESEC for a semester, I can clearly see a change – I can say that I have gained practical experience and developed many soft skills needed for my future. That is why I decided to continue with my AIESEC experience and am currently the newly elected Vice President in our office at TU, in charge of bringing people from all around to world to an internship in Austria, to teach them more about Austrian culture, lifestyle and uniqueness. Becoming a vice president opens a lot of possibilities – I will be able to lead a team of people, achieve certain goals and strive for success. This will be a great asset to my future and my career as an Engineer, because one day I wish to be in a management position where I will have to lead a team. The skills such as critical thinking, negotiating, interacting with the higher management and many others that I will develop now, will come in handy one day and make my job much easier. 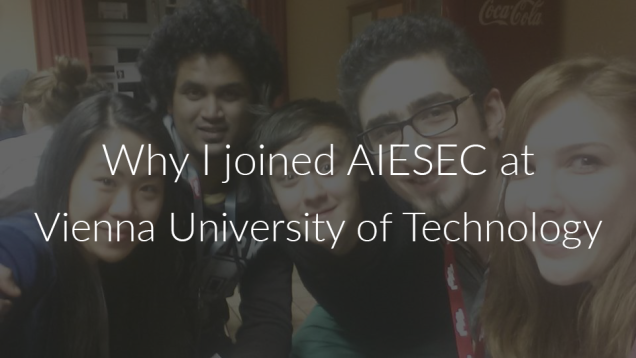 While I was studying in Iran, I have been active in many extra-curricular activities but by joining AIESEC I learned more about how to communicate effectively not just to people from Austria or Europe, but to people of diverse backgrounds. The team in AIESEC is a multicultural one and counts more than 30 different nationalities within 4 local offices in Vienna. Understanding cultural diversity and different mindsets and meeting people from all around the world by attending numerous conferences, was one of the greatest experiences I gained as a member of AIESEC.